The sudden death of Kim Jong-il came as quite a shock. Will Kim-Jong-un garner the same power his father did? Future events may provide clues to the coming North Korean succession. Now that the Korea Central News Agency (KCNA) has officially announced the start of the Kim Jong-un era, the major questions on the minds of North Korean observers revolve around the durability and sustainability of the North Korean leadership under Kim Jong-un. Another way of making judgements regarding this process is to assess whether the succession process is going according to plan. The 1994 succession experience provides the North Koreans a template for how to successfully manage succession and offers a scorecard for assessing the durability of the Kim Jong-un regime. In the first few days, the North Korean leadership has made no obvious mistakes, nor has there been any evidence that the succession process is veering off track. The North Korean media has reinforced Kim Jong-un’s role, with international diplomats implicity acknowledging his position and KCNA bestowing on Kim Jong-un the titles of Great Successor and Supreme Commander. I believe that each of these elements is designed to reinforce perceptions of the inevitability of Kim Jong-un as the next leader, with the funeral being a major event designed to affirm Kim Jong-un’s new role at the same time that he pays respects to his father. This will also be the first opportunity to make judgments regarding his leadership style independent of his father. Jan. 1: New Year’s address. North Korea normally issues a joint editorial or speech by the leader assessing the challenges and goals for the year. The 2012 address may have already been written, but can be scoured for deviations from the past and for evidence of possible rewriting post Kim Jong-il’s death. How the joint editorial is issued, and whether Kim Jong-un might decide to personally deliver it, as well as the substance it contains will offer some early clues to the actual role Kim Jong-un is and will be playing. 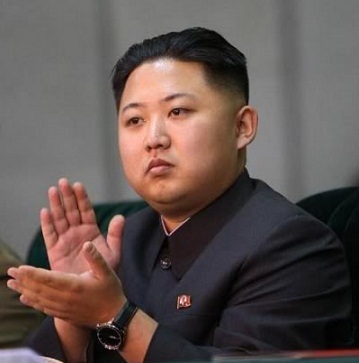 Jan. 8: Kim Jong-un’s 28th birthday and his first as leader. How will it be celebrated this year, and what messages are conveyed on this date? Feb. 16: Kim Jong-il’s 70th birthday. Still well within the mourning period, how will this birthday be honored and what roles will Kim Jong-un and other leaders play in any commemorations on that date? April 15: Kim Il-sung’s 100th birthday. This was to be the big celebration of the year, marking the establishment of North Korea as a “strong and prosperous state.” But what are the benchmarks for assessing Kim Jong-un’s performance toward that goal? Arguably, the benchmarks may shift to “are you better off than you were seventeen years ago?” The famine that occurred in the midst of the Kim Il-sung-Kim Jong-il succession process presents an opportunity to establish a low bar for assessing Kim Jong-un’s performance. The Diplomat speaks with Korea analyst Scott Snyder about the North Korean leadership succession and what to expect under a Kim Jong Un regime.